The University of Cambridge, one of the world's best recognised universities, is embarking on an overhaul of it's site infrastructure. By implementing a new style guide and a custom Drupal 7 framework this project will progressively see their network of over 400 websites adapt to a new design and development uniform. Zen: It gives an empty theme (Starterkit), it's fully documented. Feeds: has been chosen to import the events generated in a XML file. views_load_more: This module matches the requirement for a lazy load function in the homepage. entity_view_mode: This module gives us the chance to create new view mode and apply the style in node.tpl.php rather than using Views with fields. imagecrop: For a better image managing and scaling we decide to use this module in order to get the right size for those images who need to be showed in different places and in differen sizes. menublock: This module give us the way to split the menus and add it in different places in the page. easybreadcrum: Easybreadcrumb creates the breadcrumb and the links straight from the url . IMCE: We needed a good image manager for the content. This gives the chance to create folders and new custom image sizes. It's possible to set permission for different folders for different users. Media: We used this module to embed media file from vimeo, youtube, soundcloud and flickr. publishcontent: A simple publish and unublish option without giving full permission for Contents to the editors. Workbench: This module provide a page for a better content managing showing the latest edited contents from the users and the latest content. It's an aggragation of block views so they can be easly customizable. Nodequeue: It has been used to create custom order for views. Editor can decide the order of the nodes in a view. BrightLemon creates social software that has a positive impact on society. We aim to be the number one bespoke digital community agency in the UK. By combining expertise in social psychological theory, open source software and user centric design we produce high growth, engaging, personalised communities. We have done this for Amnesty International the British Council the Department for Education, Fujitsu , the Greater London Authority, the Tate Modern, University of Cambridge , University of London, Viacom International Media Networks (Comedy Central, MTV and Nickleodeon) and the Victoria & Albert Museum. Drupal already powers some of the world's leading universities including Harvard, MIT and Oxford. 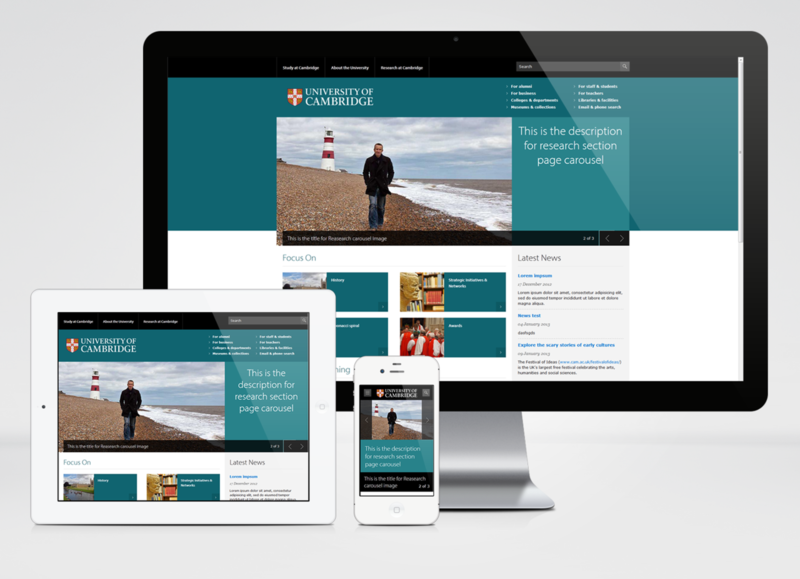 The University of Cambridge previously had over 400 websites written across various different codes and platforms. Cambridge chose Drupal because as open source software, there is agility in the solution to fit their their requirements. The Drupal CMS can provide the core of a new uniform in developing websites for the university and will support necessary API's commonly used. The main goals of this project were to start the implimenatation of their new design guide with a rebuild of their flagship site www.cam.ac.uk. The new build utilises a selection of open Drupal modules on Drupal 7 core and is designed to seamlessly respond to mobile and tablet device sizes and features. · End-users such as staff and students will find the site more modern looking, easier to use and with improved usability and consistency.